The 975-by-114.8-foot Koningsdam is by far the largest ship to be built for Holland America Line, measuring 99,500 gross tons with a double occupancy passenger capacity of 2,650 and a crew of 1,036. 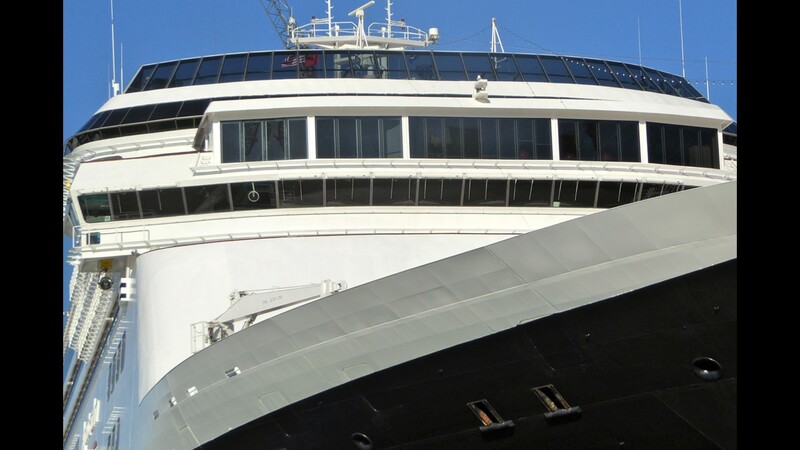 Holland America Line’s 82,305-gross-ton, 2003-built Oosterdam is the second of four Vista Class ships named for the points on the compass. Oosterdam (“oost," which rhymes with “toast”, means “east” in Dutch) followed the 2002-built Zuiderdam (“south”) and was joined by the 2004-built Westerdam and 2006-built Noordam (“north”). The Vista Class ships are derived from parent company Carnival Corporation’s Spirit Class platform, sharing similar hull dimensions and machinery with the Carnival Spirit but with a layout and interior style that is unique to Holland America. Other ships in the Carnival empire that are based on the Vista Class design include Cunard’s Queen Victoria and Queen Elizabeth, P&O’s Arcadia and Costa’s Costa Luminosa and Costa Deliziosa. Oosterdam and its sisters were built by the busy Marghera (near Venice) yard of Italy’s state-owned Fincantieri shipyard. Oosterdam was named by Holland’s Princess Margriet in a gala naming ceremony in Rotterdam in July of 2003. As built, the Oosterdam had a gently tapered stern. In 2009, the ship was fitted with additional cabins aft, giving the upper portion of the stern a fuller, more vertical look. Another major refit in 2016 added more cabins on forward Deck 10, along with a number of new features. Oosterdam’s uppermost level is Sports Deck (Deck 11), the forward portion of which overlooks the bow. Full-length glass screens shelter the space from high winds. The adults-only Retreat was added to forward Sports Deck in 2016. It features a common area surrounded by 16 private cabanas that can be reserved for a fee. Cabanas come with a personal butler, bathrobes and plush towels, sound speakers for smartphones or other devices, champagne and refreshments ranging from iced fruit skewers and frozen grapes to chocolate-covered strawberries. The aft portion of Sports Deck is situated behind the funnels. Here, a net shelters a combination basketball and volleyball court. From aft Sports Deck, there is a nice view of the teak-lined Sea View lido and pool. On midships Observation Deck (10), teak walkways lead aft on either side of the sliding glass-and-steel Magrodome that can be closed to shelter the Lido Pool area from inclement weather. Open decks continue on either side of Observation Deck past the funnels. 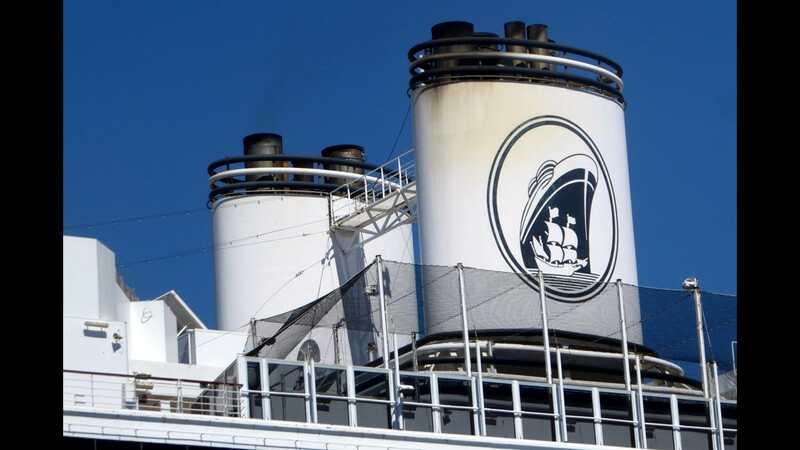 The Vista Class ships were the first cruise ships to have two functioning fore-to-aft-situated funnels since the Italian liners Michelangelo and Raffaello of 1965. 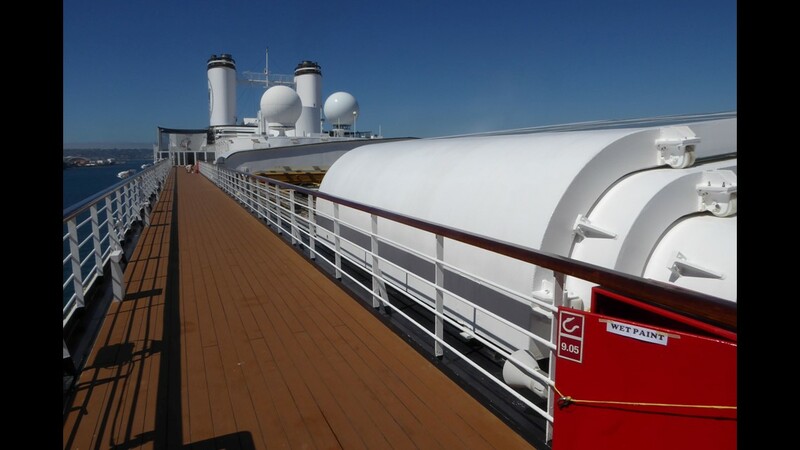 More sports and sunning space can be found on the aft portion of Observation Deck. 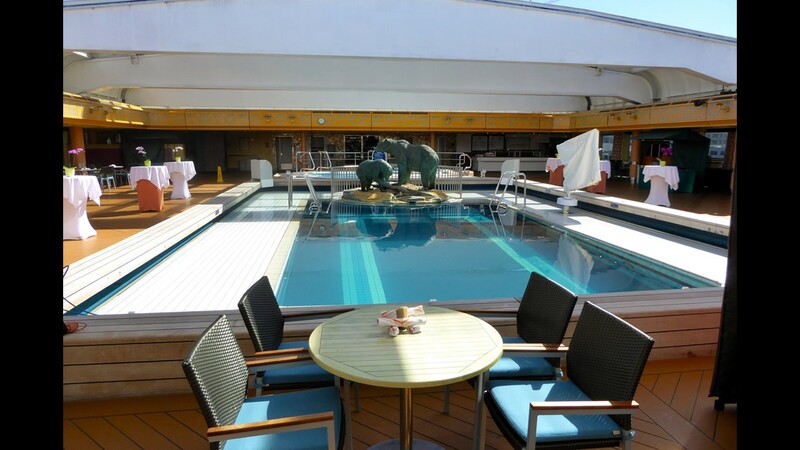 The Lido Pool is located on midships Lido Deck (9). Its forward section features a bronze sculpture of penguins by artist Susanna Holt. Four large whirlpools (two forward and two aft) are adjacent to the Lido Pool. 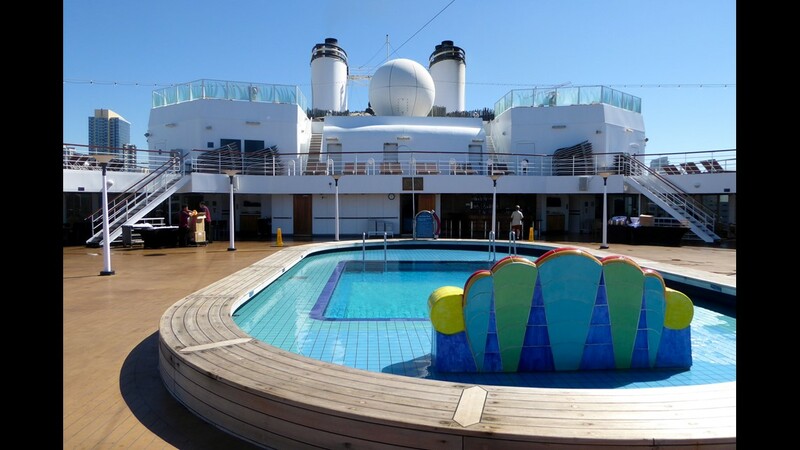 On aft Lido Deck, the Sea View Pool features colorful ceramic sculptures and two whirlpools. The open-air Sea View Bar is on the starboard side of the Sea View Pool. 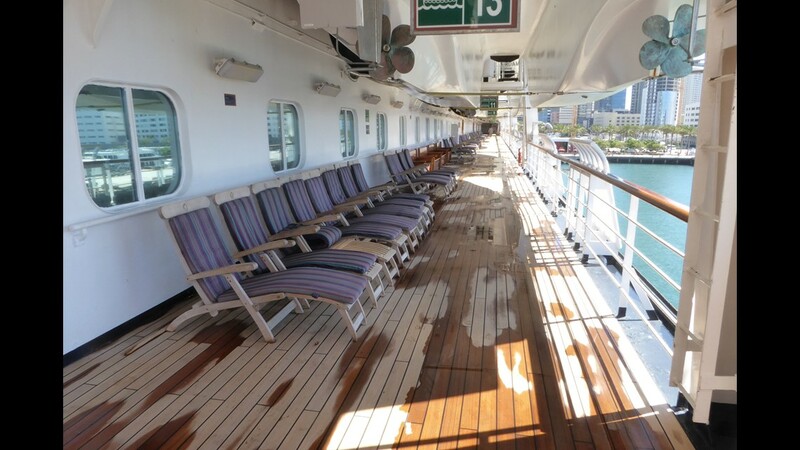 The Oosterdam has a fully encircling, teak-lined promenade with cushioned deck chairs on Promenade Deck (3). 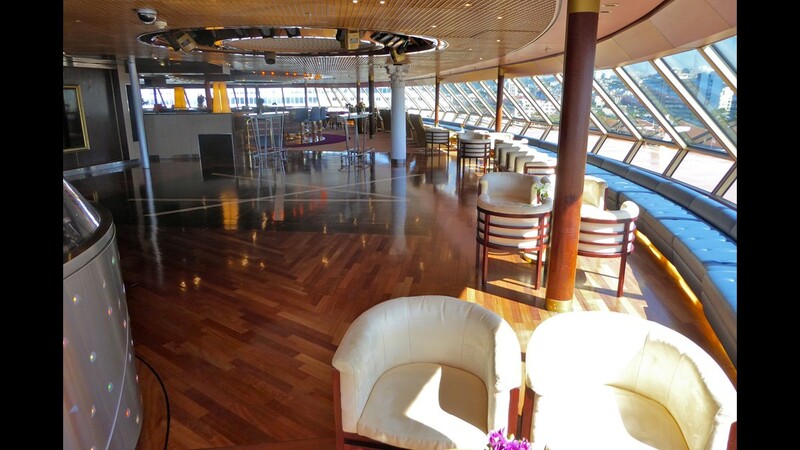 The Crow’s Nest is a lounge located at the top of the ship on forward Observation Deck (10). The Crow’s Nest has a large bar and dance floor. The starboard/aft portion of the Crow’s Nest can be used for private functions. The Explorations Cafe is a specialty coffee bar on the starboard side of the Crow’s Nest. The Explorations Cafe has four computer stations (Internet fees apply), a library of books and DVDs, newspapers and a selection of board games. The Loft is a teen center on midships Observation Deck. 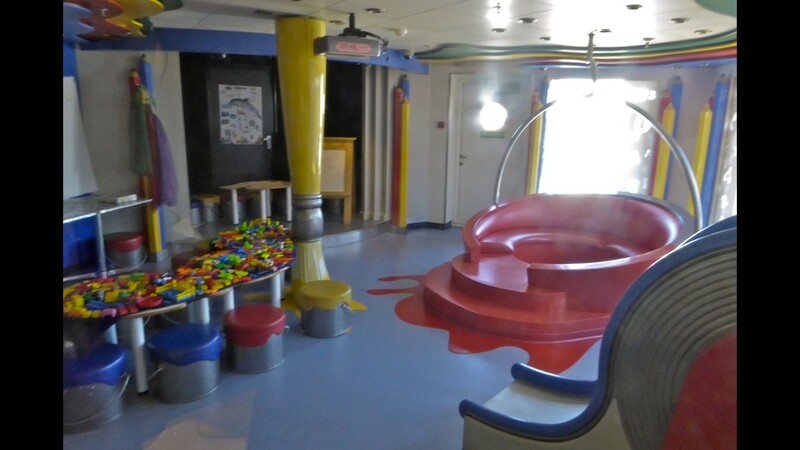 Club HAL is a children’s playroom on midships Observation Deck. This is another section of Club HAL, which has age-specific programs and facilities for kids. 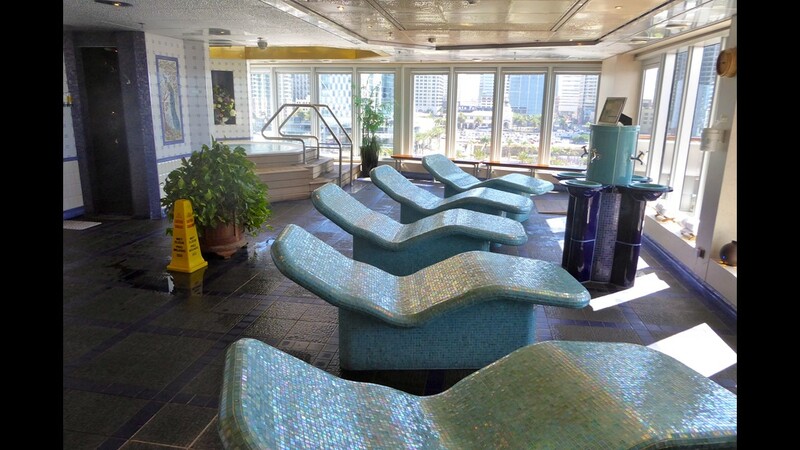 The Greenhouse Spa is located on forward Lido Deck (9). A fully equipped beauty salon offering hair and nail treatments is adjacent to the Greenhouse Spa. The Greenhouse Spa has separate men’s (shown) and women’s changing areas. Both men’s and women’s (shown) changing areas have private lockers. 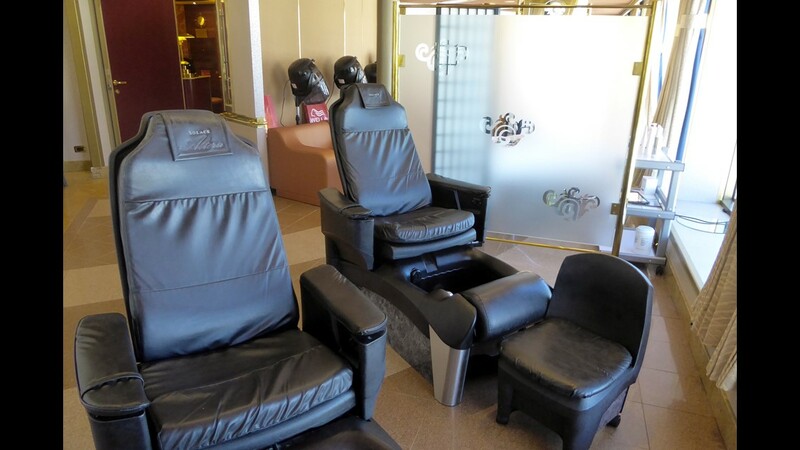 A relaxation room is available to Greenhouse Spa patrons to use before and after treatments. 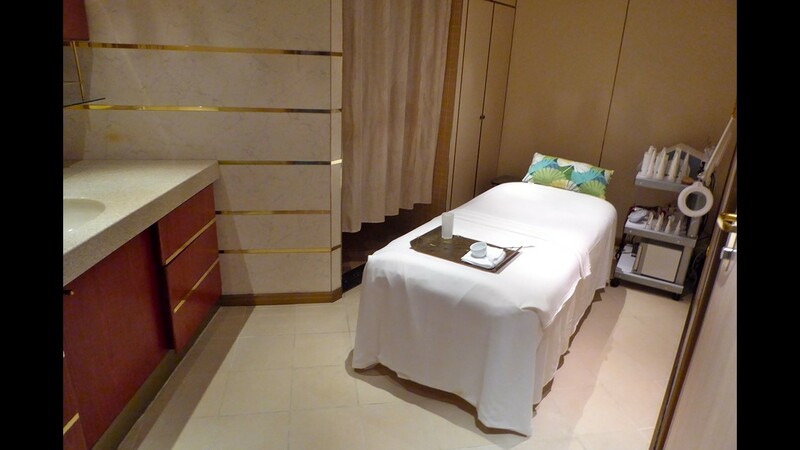 There are numerous treatment rooms in the Greenhouse Spa, including this one for couples. This is a single treatment room in the Greenhouse Spa. A thermal suite with heated tile loungers and steam and sauna areas is on the starboard side of the Greenhouse Spa. A large thalassotherapy pool is located at the aft end of the Greenhouse Spa. A well-equipped gym with cardio machines, free weights and exercise machines is located at the forward end of the Greenhouse Spa on Lido Deck. 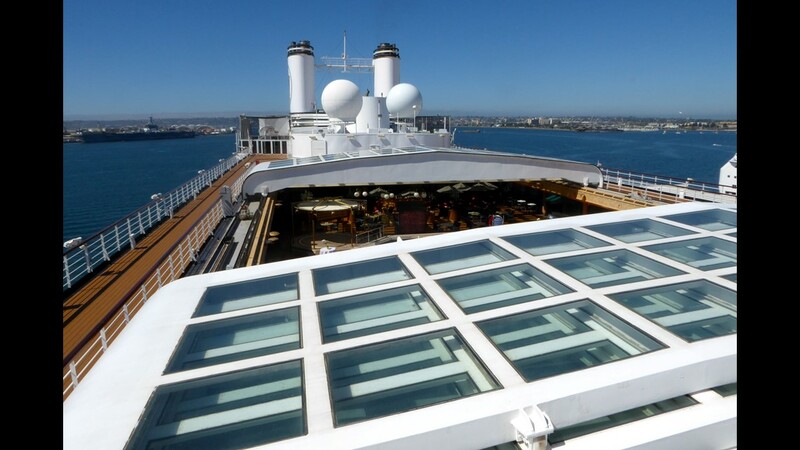 An open terrace that overlooks the bow can be accessed via the Greenhouse Spa. 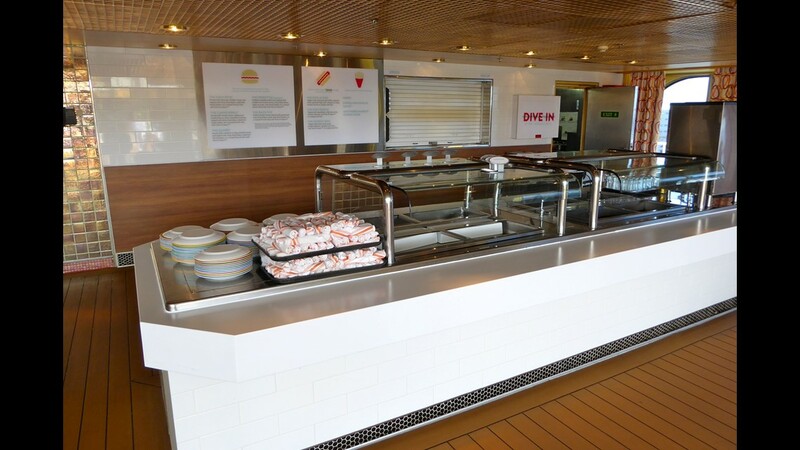 The 528-seat Lido Marketplace buffet eatery is located on midships Lido Deck and offers up numerous action stations including a sandwich deli, a salad bar, Asian food, Italian food and desserts. In the Lido Marketplace, attendants prepare and serve the food, including this made-to-order salad at the salad bar. The forward/starboard portion of the Lido Marketplace becomes Canaletto at night. This reservations-required Italian eatery commands a $15-per-guest tariff. The 25-seat Neptune Lounge is a concierge lounge that serves guests in the Oosterdam’s top suite categories. It is located on forward Rotterdam Deck (7). Two full decks of public rooms begin on Promenade Deck (3) with the upper level of the Mainstage, the Oosterdam’s state-of-the-art showroom that seats 856 guests. The Screening Room on starboard Promenade Deck is Oosterdam’s dedicated movie theater. On the port side of Promenade Deck, there are three meeting rooms that can accommodate up to 95 guests, the first of which, the Hudson Room, is shown merged with the smaller Half Moon Room, just aft. This is the Half Moon Room portion of the meeting areas. A third meeting room, the Stuyvesant Room, is aft of the Half Moon. 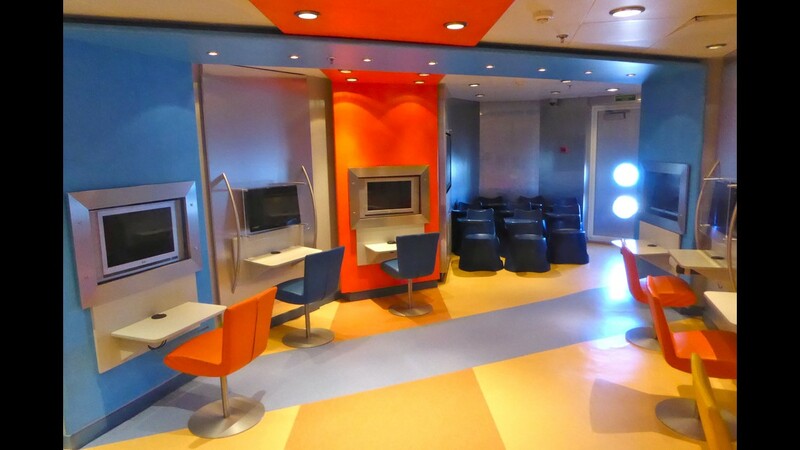 A large lobby and passageway runs between the meeting rooms and the Digital Workshop and shops on Promenade Deck. Merabella is a jewelry shop on Promenade Deck. Windows computer classes (charges apply) are held in the 20-station Digital Workshop on starboard Promenade Deck. There are several duty-free shops on Promenade Deck selling everything from sportswear to souvenirs, liquor and sundries. 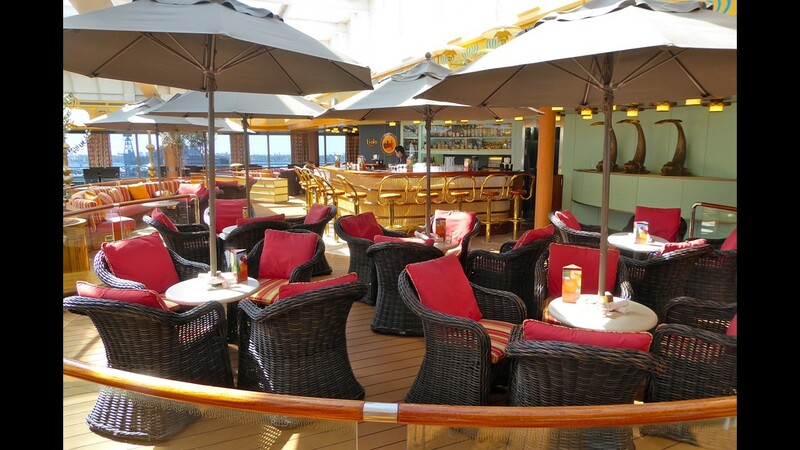 The Ocean Bar surrounds the upper level of the three-deck-tall Atrium on Promenade Deck. On the port side, it features a lounge with a dance floor, bandstand and grand piano. This is a view of the Atrium from the Ocean Bar balcony. On the starboard side, the Ocean Bar has a long bar with seating that looks out onto the promenade. 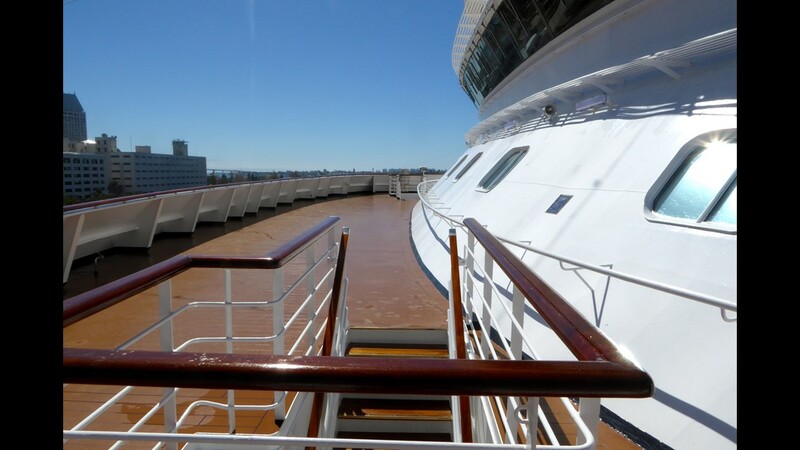 The photo gallery continues aft along the starboard side of Promenade Deck. The 478-seat upper level of the two-deck Dining Room can be found at the aft end of Promenade Deck. Oosterdam is filled with interesting artwork curated by the ship’s original designer, VFD, which is based in Utrecht, Holland. This is a fireproof, non-toxic Eco Decor art panel by Italian-based artists Gilbert Lebigre and Corinne Roger. In the ship’s forward stairtower, there are original oil paintings by Bermuda-based artist Stephen Card depicting noteworthy Holland America Line passenger ships like the famed Nieuw Amsterdam of 1938, shown here transiting the Panama Canal. Lower Promenade Deck (2) begins with the middle level of the Mainstage showroom. Added in 2016, Billboard Onboard is a new 111-seat lounge where live musicians perform "Billboard" magazine pop hits from the '50s through the present day. This is the bar on the starboard side. This is another view of Billboard Onboard, this portion of which replaced the original Sports Bar. The Casino is adjacent to Billboard Onboard on Lower Promenade Deck. Added in 2016, the 120-seat Gallery Bar is a new venue featuring evocative artwork that is located directly aft of the Casino. 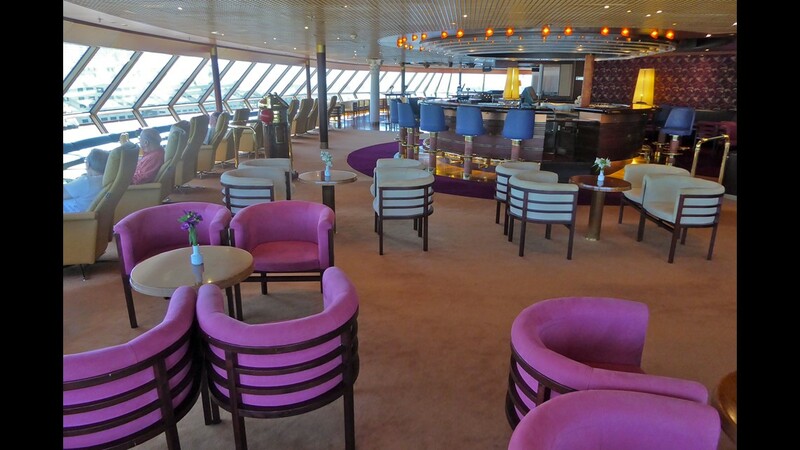 The Gallery Bar replaced the original Northern Lights Disco on Lower Promenade Deck. 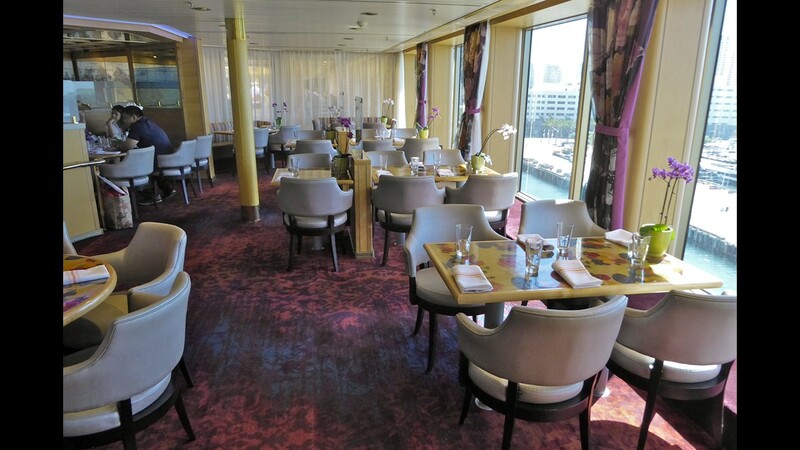 The Queens Lounge on Lower Promenade Deck is by day the setting for America’s Test Kitchen. Behind the curtains, there is a kitchen with camera equipment for cooking classes. At night this room becomes B.B. King’s Blues Club. The 148-seat Pinnacle Grill, Oosterdam’s steakhouse and Pacific Northwest cuisine-themed dining venue, overlooks the port side of the Atrium. Lunch is $10 and dinner is $29 with additional charges for certain premium courses. 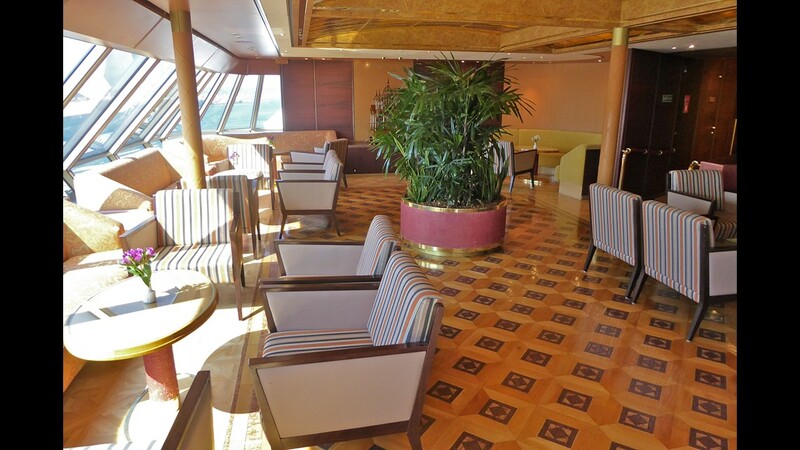 The Pinnacle Bar is directly across from the Pinnacle Grill on the starboard side of the Lower Promenade Deck Atrium. The Art Gallery lines the starboard passage on midships Lower Promenade Deck. Lincoln Center Stage is a new classical music venue on Lower Promenade Deck. The Explorer’s Lounge is directly aft of Lincoln Center Stage. A small room, once dedicated to smokers, is aft of the Explorer’s Lounge. 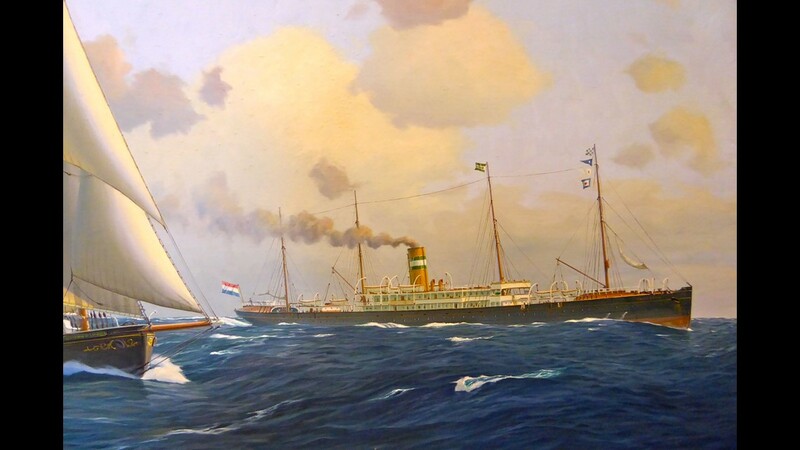 On the inboard portion of the Explorer’s Lounge, there is a long oil painting that depicts a classic Dutch maritime scene. 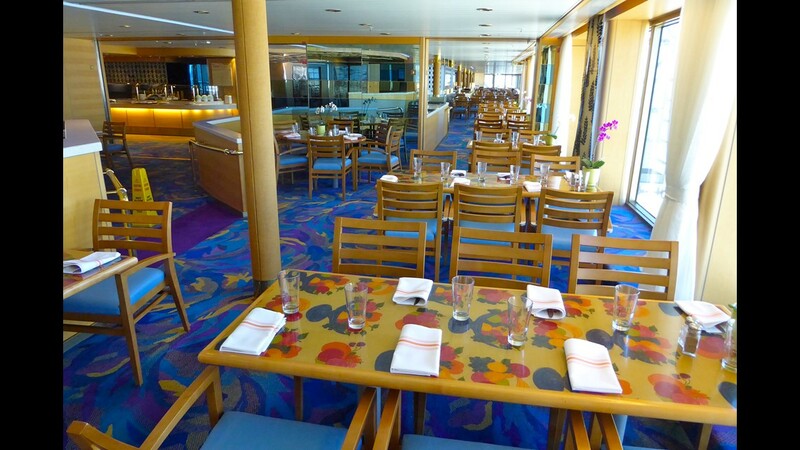 The lower level of the Dining Room is located on aft Lower Promenade Deck. 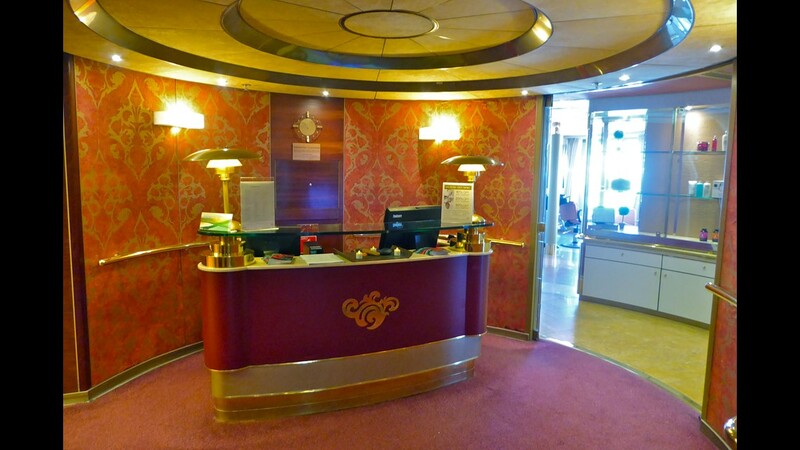 The guest services desk is located at the base of the Atrium on port Main Deck (1). The future cruises desk is adjacent to guest services on Main Deck. Journeys Ashore is the shore excursions office on Main Deck, across from guest services. The Oosterdam has two 1,150-square-foot Pinnacle Suites that are among the largest at sea. This is the dining area of Suite 7045 on Rotterdam Deck. Pinnacle Suites have a separate living room with an entertainment center and large flat-screen television. This is the bedroom of a Pinnacle Suite. Pinnacle Suite master bathrooms have twin sinks and marble and granite surfacing. Pinnacle Suite tubs have a fountain and whirlpool jets. In addition to the tub, there is a glass-enclosed shower in the Pinnacle Suite master bathroom. Pinnacle Suites have upgraded Elemis amenities. Pinnacle Suites have walk-in closets with ample storage space. In addition to the master bath, Pinnacle Suites have a powder room for guests. Pinnacle Suites have a private galley and pantry. Pinnacle Suites have a huge balcony with a private whirlpool tub. There is also plenty of space for a dining table and deck chairs on the Pinnacle Suite balcony. Oosterdam has 60 Neptune Suites that measure between 500 and 712 square feet. Neptune Suites have a walk-in closet/dressing area. Neptune Suites have their own private espresso machines. Neptune Suite bathrooms have twin sinks and a large whirlpool tub with shower. Neptune Suite guests are provided with upgraded Elemis amenities. Neptune Suite balconies have enough space for a dining area and two deck chairs. There are 100 Signature Suites measuring between 372 and 384 square feet. Signature Suite living areas have a large flat-screen television. Signature Suite balconies have a pair of loungers and a small coffee table. There are 495 Verandah Staterooms on the Oosterdam measuring between 212 and 359 square feet. Verandah Staterooms have a small balcony with a lounger. Verandah Staterooms have a bathroom with a full tub and shower combination. Holland America provides environmentally friendly dispensers with Elemis-brand shower gel, shampoo and conditioner in its standard cabin categories. There are 165 Oceanview Staterooms measuring between 174 and 180 square feet. The 160 Interior Staterooms measure between 151 and 233 square feet. Interior and Oceanview Staterooms have a bathroom with a shower. 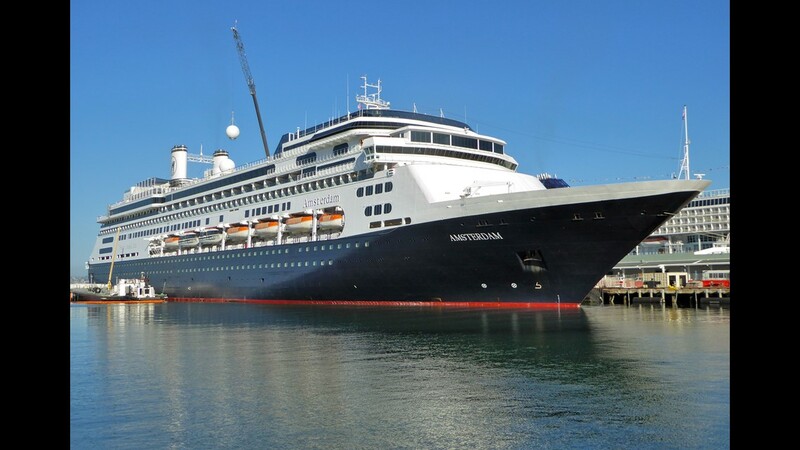 The Oosterdam will receive an additional refit and revisions at the Grand Bahama Shipyard in the spring of 2018 before embarking on a series of cruise programs that will offer itineraries in the Mediterranean, Caribbean and Alaska. 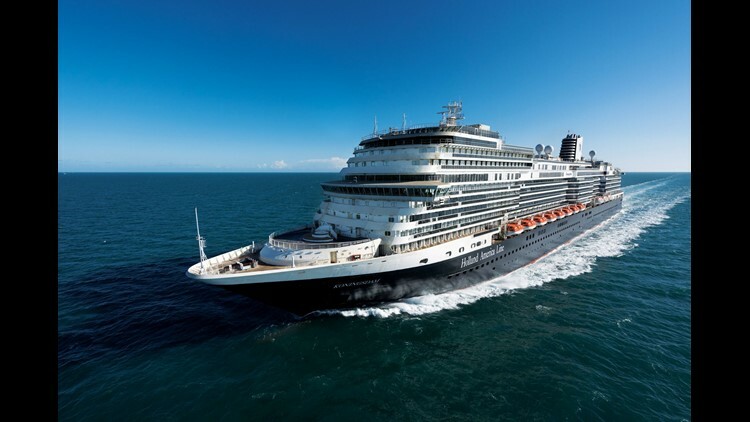 The 1,380-passenger Amsterdam, along with its near-twin the Rotterdam of 1997, shares co-flagship status in the14-vessel Holland America Line fleet. Hull No. 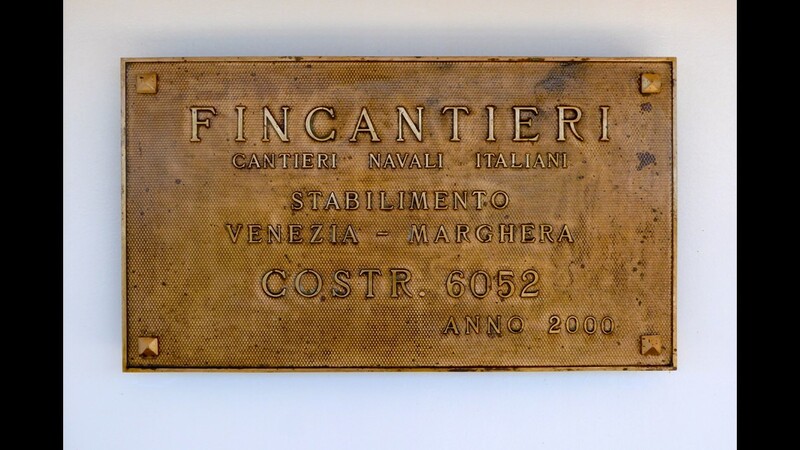 6052, the Amsterdam was built by Fincantieri’s Marghera shipyard near Venice. 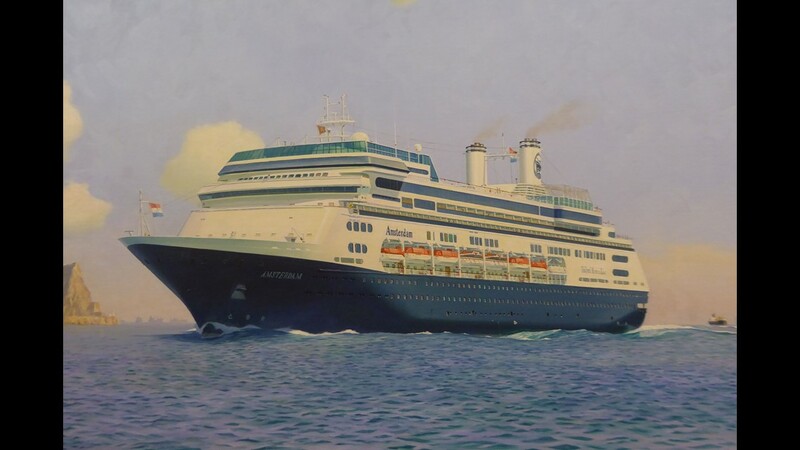 Shown as built in a painting by artist Stephen Card from the ship’s forward stair tower, the Amsterdam is the third ship in the history of Holland America to bear the name. 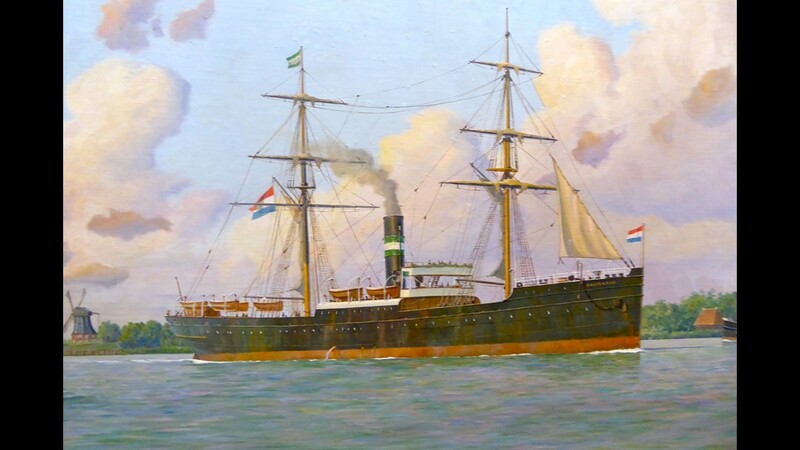 The first Amsterdam, also shown in a painting by Stephen Card, was a steamer completed in 1880. With a capacity for 52 first-class and 648 third-class passengers, it ran aground off Nova Scotia in July 1884 and was declared a total loss. The second SS Amsterdam was built in 1879 as the British Crown for American Line but was sold in 1887 to HAL, who renamed it Amsterdam. The vessel carried 90 first-, 80 second- and 800 third-class passengers and was scrapped in 1905. This painting is also by Stephen Card. Both the current Amsterdam and Rotterdam have unique “goal post” funnels that are a modern take on those of Holland America Line’s 1959-built Rotterdam, which is now preserved as a hotel ship in Rotterdam. Early in its career, the Amsterdam was given a refit that expanded the gym and spa on Deck 8, altering the look of the ship’s forward superstructure. At the same time, the Explorations Cafe was added and the youth center was expanded. The Amsterdam has 10 guest decks. 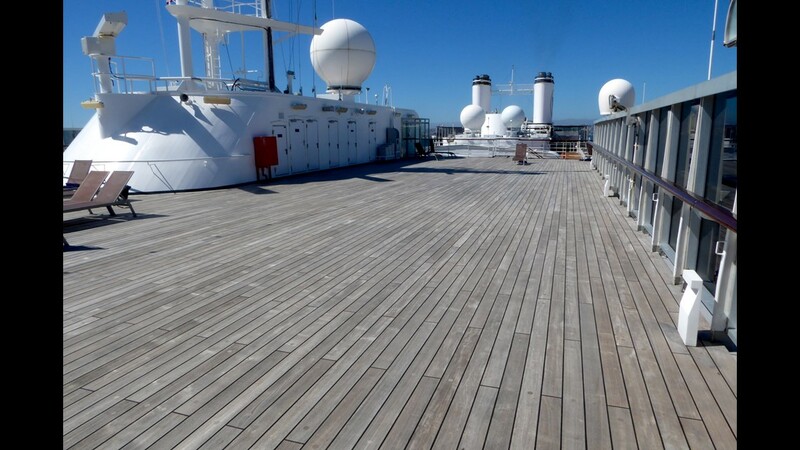 The top level, Sky Deck (10), begins with a teak-lined sunning and observation area that surrounds the mast platform. This is a view over the midships Lido area from Sky Deck. The aft portion of Sky Deck contains the Oasis, an open-air space reserved for kids and teens. The exterior portion of Sports Deck (9) begins with a walking track that encircles the sliding glass and steel Magrodome over the midships Lido Pool. This is a view into the partially opened Magrodome from Sports Deck. 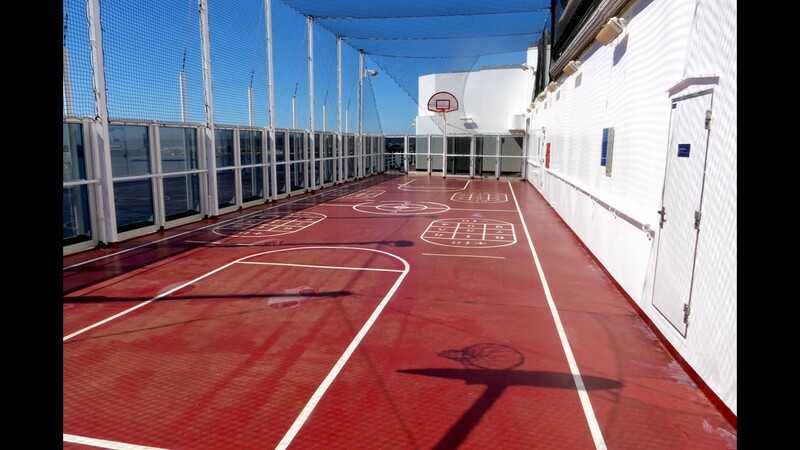 On the starboard side of Sports Deck, there is a combination shuffleboard and basketball court. 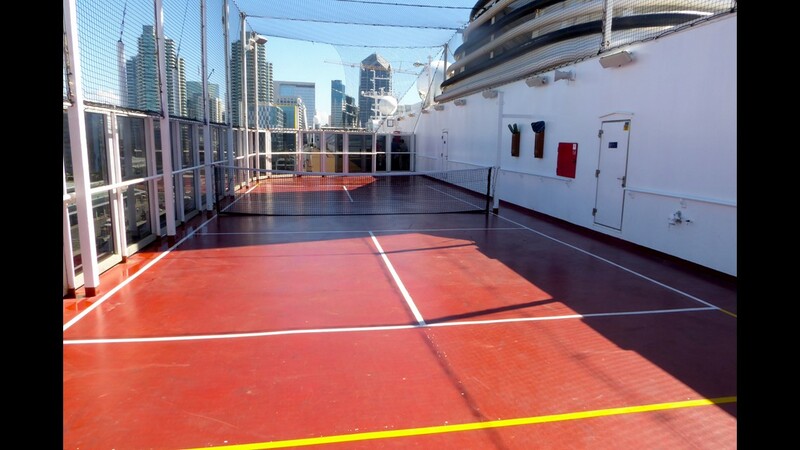 On the port side of Sports Deck, there is a practice tennis court. The Dive In is a casual burger and sandwich eatery on Lido Deck (8) just forward of the Lido Pool. The all-weather Lido Pool can be protected by the Magrodome in inclement weather. A bronze sculpture of polar bears by Susanna Holt and a large Jacuzzi are at its forward end. The Lido Bar is directly aft of the Lido Pool. 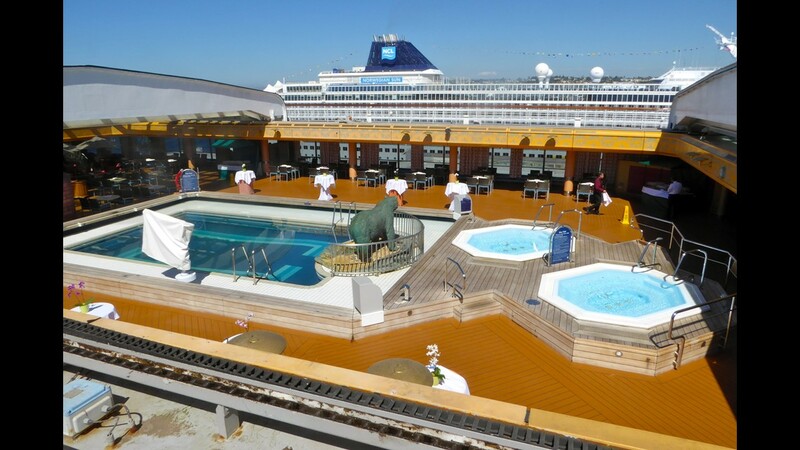 The open-air Sky View Pool is located on aft Lido Deck. There are sheltered terraces with loungers on aft Decks 7 (shown) and 6. On forward Verandah Deck (6), there is an observation terrace overlooking the bow. 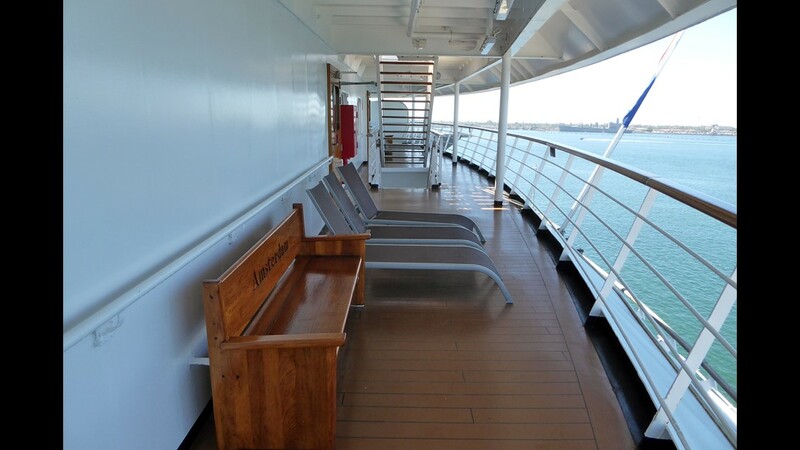 The Amsterdam has a beautiful wrap-around promenade with cushioned teak deck chairs on Lower Promenade Deck (3). Three and a half times around equals a mile. The Crow’s Nest is a handsome observation lounge located on forward Sports Deck (9) that seats 183 guests. There is a large dance floor and DJ booth on the starboard side of the Crow’s Nest. On the aft/starboard side of the Crow’s Nest, there is a separate, intimate seating area. 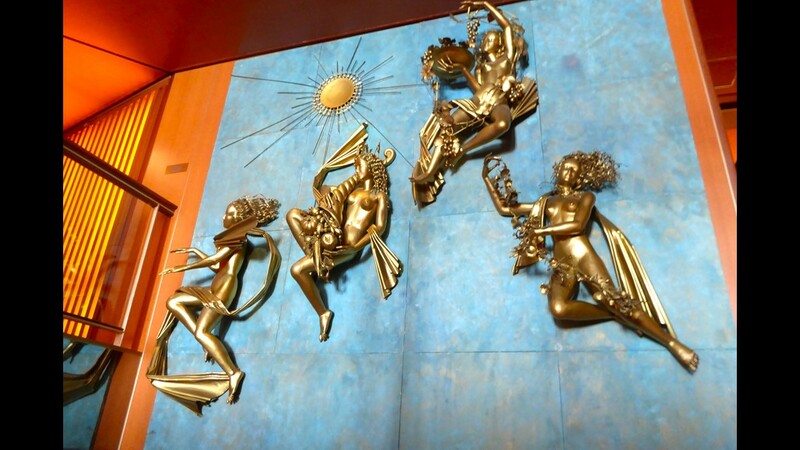 At the top of the forward stair tower on Sports Deck near the entrance to the Crow’s Nest, there is an iconic bronze artwork by the Family Brom called “The Four Seasons” that was salvaged from the famed HAL liner Nieuw Amsterdam of 1938. This is one of the finest and most important works of art onboard Amsterdam, which boasts a multi-million dollar collection. 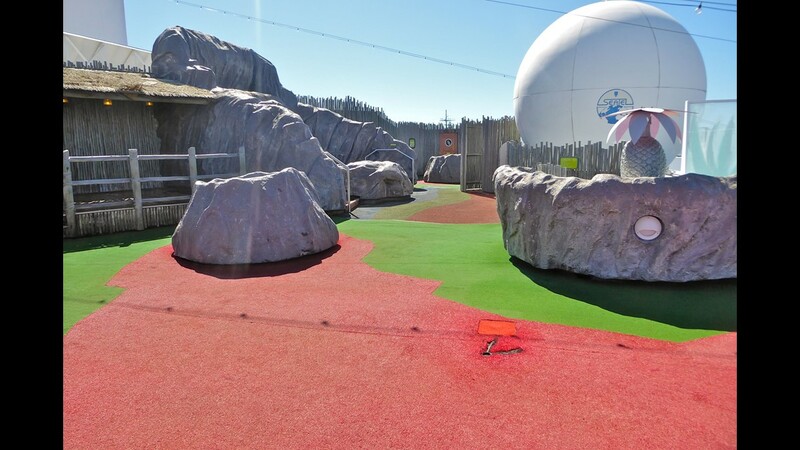 Directly across from the Loft on port Sports Deck, Club HAL is a children’s area with age-specific amenities. On the starboard side of aft Sports Deck, the Loft is a teen center that, when combined with the Club HAL children’s venue, can accommodate up to 53 guests. 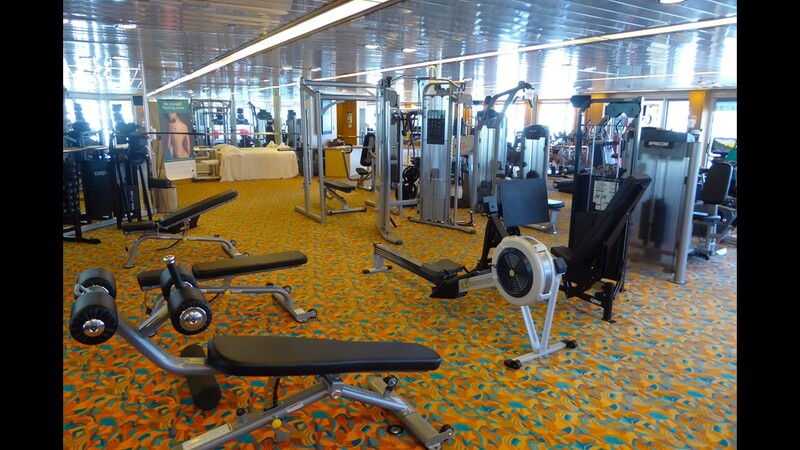 On the port side of Lido Deck (8), there is a large gym with cardio and weight machines, free weights and an aerobics and stretching area. 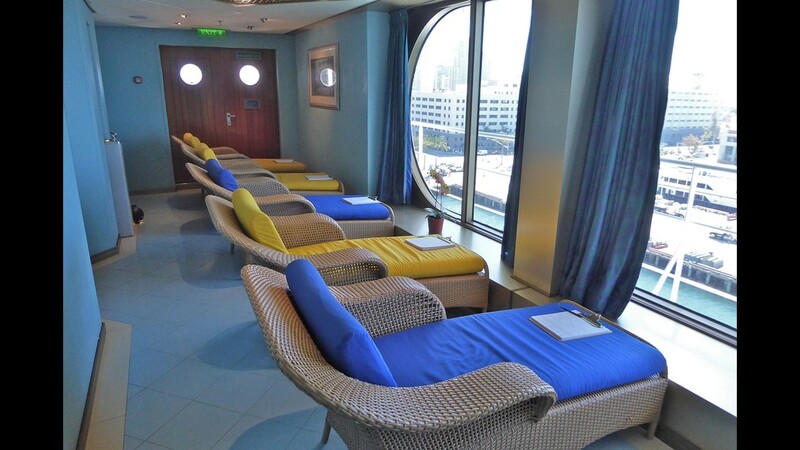 The Greenhouse Spa and Salon is located on forward Lido Deck. 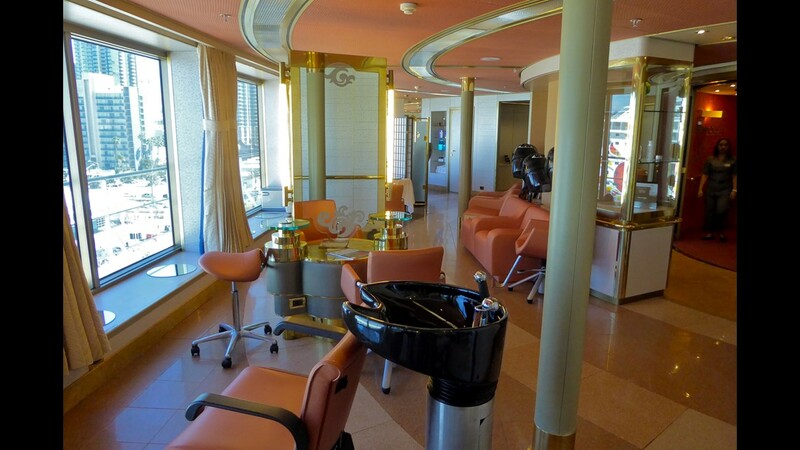 A full-service Beauty Salon with a menu of treatment options is located on the port side of the Greenhouse Spa and Salon. This is the pedicure station in the Greenhouse Spa and Salon. The Amsterdam has seven spa treatment rooms for singles and couples. The Amsterdam has a thermal suite with heated ceramic loungers and a Jacuzzi on the forward/starboard side of Lido Deck. The Greenhouse Spa and Salon also has a private relaxation area for guests to use before and after spa treatments. The 54-seat extra tariff ($15 per guest) Italian specialty restaurant Canaletto is located at the forward/starboard end of the Lido Restaurant on midships Lido Deck (8). The Lido Market is a casual, buffet-style dining venue on midships Lido Deck (8) that accommodates 406 guests.